A Great Escape by Felice Arena is another middle-grade reader. Usually, I don’t write reviews for middle-grade readers, or if I do, it is for the boys at my school and not for the general public. I have always found middle-grade readers to be quite tedious and not great reads. In the past few years, though, that has changed dramatically and I now find myself reading middle-grade readers and thoroughly enjoying them. The last middle-grade book I read was A Great Escape by Felice Arena. I liked this book – A LOT! I enjoyed Arena’s last book Fearless Frederic, but A Great Escape will push you as a reader. I love that Arena takes a decisive point in history and makes it accessible for younger readers. It is so hard to explain the Cold War and particularly The Berlin War to primary aged children, but this book succeeds in doing this. Peter’s father works in West Berlin, but Peter and his family live in East Berlin with his grandparents. His parents have decided that the whole family (including his grandparents) will move to West Berlin to live. Peter is meant to go with his mother and sister for the day to look at accommodation in West Berlin. Peter is playing with his friends and his mother leaves him behind in frustration and goes to West Berlin with her daughter – thinking that she will be only gone for the day. It is this moment in time that will change Peter’s family’s whole life. In just one day the border becomes impassable. A temporary barbed wire fence is constructed and is guarded by soldiers. The barrier is impenetrable. Suddenly Peter is in East Berlin with his grandparents and his parents and sister are in West Berlin. Of course, Peter becomes determined that he will make it across the wall and starts to plan his escape. In his planning and attempts, he witnesses many disconcerting scenes of escapes that are unsuccessful. Peter soon realises that escaping will not be quite as simple as he thought it would be and an unsuccessful attempt will either end in death or imprisonment. Not only does Peter witness unsuccessful attempts, but he also witnesses and hears of successful efforts. 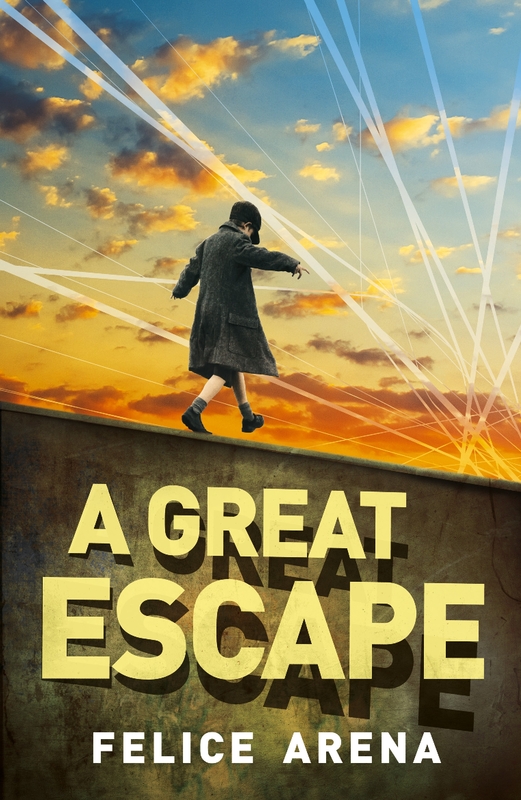 A Great Escape has all the elements of a novel that boys will love – historical facts, daring ingenuity and a likeable protagonist. I have to admit that this book stayed with me for a long time after I read it because even though I knew about The Berlin Wall and I studied it at school and university. I only knew the facts. I knew the politics behind the wall. I never knew that for twenty-eight years families and couples were separated. So many people were separated from the ones they loved. There were real people like Peter and his little sister who were separated for twenty-eight years. 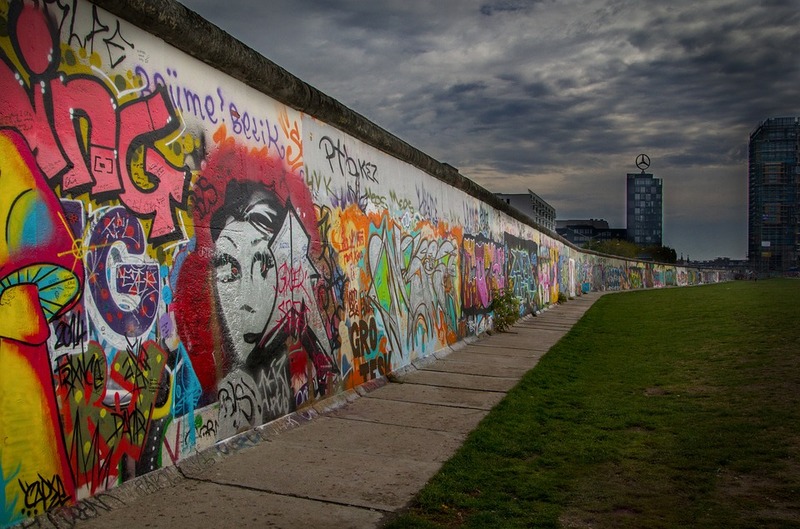 One day, like so many others, couples kissed each other goodbye for the day – one went off to work in West Berlin and the other stayed in East Berlin and then a wall was put in place and that couple were separated. I wondered how the reunions were after twenty-eight years. I wondered how a young boy like Peter grew up. I wondered how his sister grew up. The conditions in East Berlin deteriorated as the years passed. Was their resentment after the initial joy? Felice Arena has captured a time in history that should not be forgotten but more than that he has taken facts and created a gripping and emotional narrative. He gives us a story that is so much more powerful than the facts. I would recommend this book because it opens young people up to a pivotal point in history — a time that should not be forgotten and a reminder that building walls are not a solution. Meg McKinlay is an exceptional writer. Her books are both heart-wrenching and very funny. Her new novel Catch a Falling Star is stunning. I knew I was going to enjoy this book from the first page. Jeremy’s wearing the bowl and a puffy jacket because it’s the closest he can get to a spacesuit. And he needs a spacesuit because he’s going to be an astronaut when he grows up, just like Damien last week, and Trevor the time before. I don’t know what the odds are of three kids from the same class in a tiny little town on the south coast of nowhere, Western Australia, becoming astronauts, but it seems like they’d be…astronomical. Yes, this book is poignant and heartfelt, but it is also hilarious. I work in an all-boys school (mainly in the junior school) and emotionally moving won’t it cut it with the boys. I need to be able to sell these books, so humour is good. Grab them with humour and space and then let them discover a story which will give them so much more. Catch a Falling Star is set in a small town in Western Australia, in the year of 1979. As I was reading this novel, I thought it would be a wonderful book to read aloud to students. To discuss what life was like in 1979 for children their age. No mobile phones, not a lot of technology, no Internet. It is 1979 and Skylab, the U.S. space station is starting to break up and will re-enter the earth’s atmosphere. NASA can’t control Skylab and so no-one, including NASA, have any idea where the pieces of Skylab will land. They do know that Western Australia is on its flight path. I loved this part of the book because it is the 1970s and there’s no such thing as social media or a twenty-four-hour news cycle, so the public is relying on the nightly news report and their daily newspapers to give them their information. Imagine. Skylab dominates the news and everyone is talking about it. Everyone is obsessed with Skylab and none more so than Frankie Avery and her younger brother, Newt. Frankie and Newt’s father died several years earlier in a plane. It too fell out of the sky. Their father loved space. Frankie spent many hours with her father star-gazing and talking about space. She remembers her father telling her about Skylab and now it is falling to the ground. Skylab brings back many memories for Frankie and she finds it all quite overwhelming, particularly since her mother doesn’t talk about her father anymore and all she does is work long hours at the hospital. Newt was too young to remember their father, but like their father, he is fascinated by space. He is a curious, incredibly smart eight-year-old who loves science. Frankie’s mother isn’t home much, so Frankie looks after Newt. She worries about Newt and sometimes forgets to be a twelve-year-old because she is too busy looking after Newt who has no sense of danger and like most eight-year-olds lacks a lot of common sense. Frankie is dealing with a lot. She is negotiating school, family, friends and grief. The book is beautifully written, but I love the humour that McKinlay provides in the book to lighten the mood at times. Most of this humour comes when Frankie is in class with her teacher. Adults and students will relate to the humour in the classroom. As Skylab continues to fall to the ground, Frankie feels her life starting to spiral. The falling of Skylab triggers Frankie and everything comes to an emotional head as Skylab enters the earth. Catch a Falling Star is a tender, hopeful, funny, poignant and beautifully written book. I thought I would end with my favourite quote from the book, for all the readers out there!! 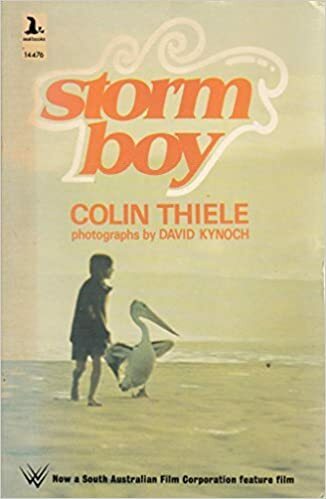 Throughout the story, Frankie is reading the Australian classic Storm Boy by Colin Thiele. A book that parallels Catch a Falling Star in that they are both about growing up and handling grief at a young age. I hesitate. People are always asking that about books: “What’s it about? It sounds like a simple question, but it isn’t. You could take all day to answer it if you really wanted to. And if the person asking the question really wanted to hear it. What I like about Bren MacDibble is that she doesn’t preach and she doesn’t patronise her readers. So many authors like to take a stance and they then proceed to hit you over the head with their beliefs. They try to make you feel stupid for believing in what you think and often they will ridicule the reader for not believing in what they believe is true and right. Bren MacDibble doesn’t do this; she shows us what a better way is and she’s let’s us decide. She did this with the wonderful How to Bee and continues to do this with her new book The Dog Runner. The Dog Runner is set in the not too distant future and Australia has succumbed to a fungus that has wiped out grass and led to worldwide famine. As you can imagine the world we live in is in anarchy – there is little food, nothing grows, livestock is dead and life is dangerous. Ella lives with her father, mother, brother and their dogs. Ella’s mother has been working outside the city and Ella’s father goes off to find her and bring her home. Ella and Emery’s father is gone for a long time and it doesn’t look like he and Ella’s mother are going to return. Life in the city is becoming more precarious each day and so Ella and her brother Emery decide to set off to the country where Emery’s mother lives. With the help of five dogs and a dogsled, they leave the city and head out into the country. Emery and Ella know that no one can be trusted and they know that food and water on their journey will be scarce and that their journey will be filled with danger, but they feel that it is a better option than remaining in the city. 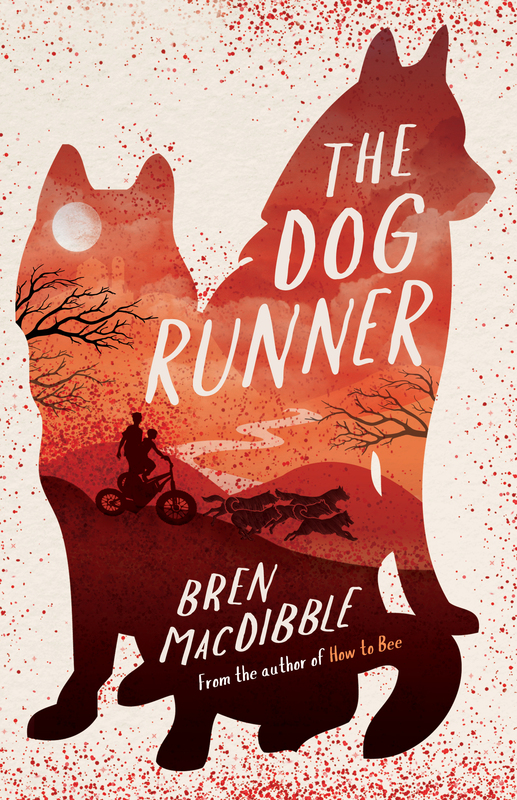 The Dog Runner moves at a cracking pace and is an exciting and brilliant read. Ella is an exceptional voice. She is a young character but by no means a naïve character. Ella isn’t tough and experienced but she has a quiet strength about her. She bravely steps up and takes on challenges which in her previous life she would have found terrifying. Through all the dangers and challenges Ella doesn’t become hardened by what she sees and experiences, she always remains hopeful about the future. The Dog Runner is thought-provoking and challenges you to think differently. MacDibble gives the reader a warning about the hazards and perils of monoculture and shows us that we lack diversity in our crop growing, BUT she also offers solutions. 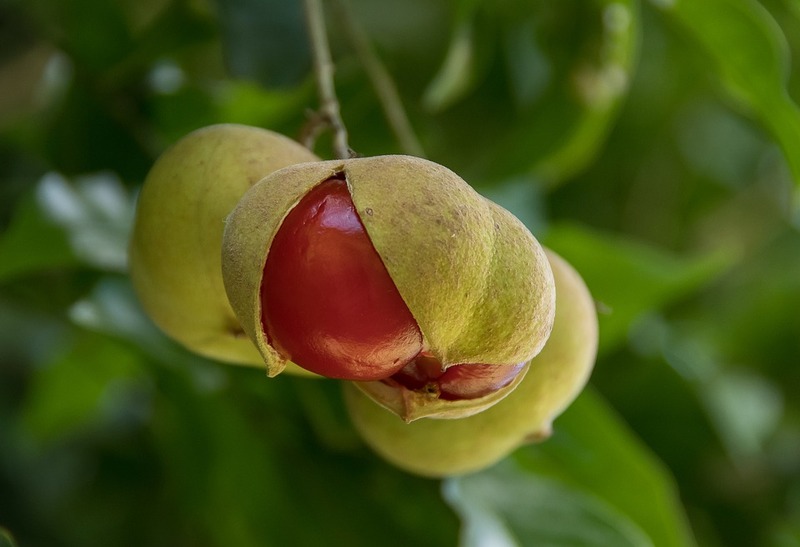 She introduces the reader to native plants and shows us how to think differently about growing our crops so that we don’t exhaust and drain the land. It is quite the writer who is able to weave all this into a book that will excite young readers. I have two copies of this book in my school library and both books are currently on loan and there is a waiting list for these books. As soon as I describe it to the boys they want to read it and why wouldn’t they, The Dog Runner is brilliant – thought-provoking, intelligent and exhilarating. I finished this a while back, but my blogging has been lax lately. The Lady’s Guide to Petticoats and Piracy was on nearly every ‘favourite reading list of 2018’. Why? I am not quite sure. Everyone has different tastes, and while I thought this was a fun book, I wouldn’t say it was in my top ten for 2018. I enjoyed the first third of the book and then I kind of churned my way through it until I finished it. I would probably give it two stars, but it doesn’t matter that much what I think because this book was universally loved and has a four and a half rating on GoodReads – so what do I know? Personally, I found this book and The Gentlemen’s Guide to Vice and Virtue a little too much. Too much was jammed into both books and I couldn’t connect to any of the characters. I know we are meant to think that Percy and Monty are some great love story, but I didn’t connect with either of them. Many have written that Monty is hilarious and witty, but I don’t see it. So rather than go on disagreeing with other reviews, I will quote Spike Lee and say ‘it wasn’t my cup of tea’. Now this book is endlessly fascinating. I have LOVED reading this book. 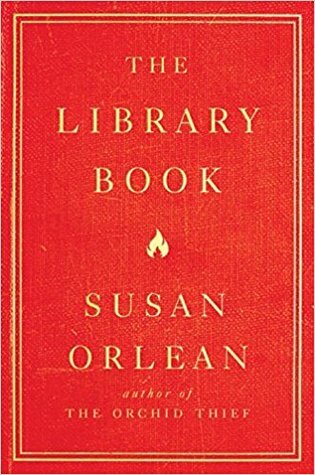 At first, I was fascinated because of the fire and who would start a fire in a library, but Susan Orlean talks of libraries in general and her love for libraries. She weaves the history of the Los Angeles Public Library throughout the book and the many different librarians the library has had, and it is all intriguing. She gives anecdotes, facts and trivia and there’s so much in this book for individuals who love books and libraries. Warren was probably the most avid reader who ever ran the library. She believed librarians’ single greatest responsibility was to read voraciously. Perhaps she advocated this in order to be sure librarians knew their books, but for Warren, this directive was based in emotion and philosophy: She wanted librarians to simply adore the act of reading for its own sake and perhaps, as a collateral benefit, they could inspire their patrons to read with a similarly insatiable appetite. 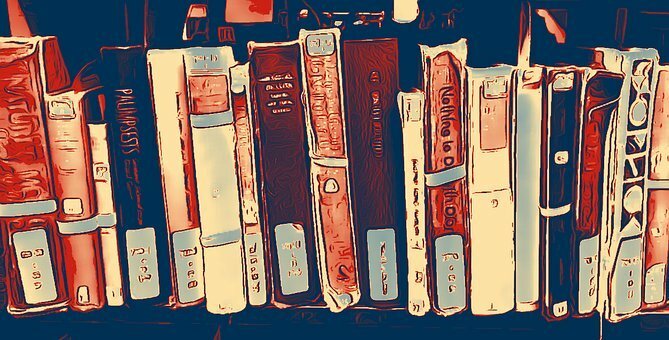 I work as a librarian and I love books and I love reading. Believe it or not, I know of some librarians who don’t read. It would appear that being a librarian in the twentieth-first century, you are valued for other skills besides reading and your love of books. Do I wish I could go back in time and live in a different era – sometimes? But then Susan Orlean tells the story of Mary Jones who was asked to resign from her job as city librarian. Why? Because the board believed it would be in everyone’s best interests to have a man run the library. Even though in the same year’s report it was noted what fine work Mary Jones had accomplished as the city librarian. As I said, this book is endlessly fascinating! I managed to stretch Schitt’s Creek out for as long as possible. For anyone starting this series, give it some time, it takes some time to warm to and first feels a little cliche, but it is anything but. I finished season four which in my opinion is the BEST season! Every episode is perfect. So I needed something to fill the void. Between all my reality television watching, I don’t have much time for other television but I like to watch something with a story every now and then. I have gone back to Felicity. I know some people didn’t like this series, but for some reason, I have always enjoyed this show. I hated the last season. And this is probably my third time watching the show from season one, but I have found that I always stop watching before the final season because that season made me angry and frustrated. This time, though, I am going to watch every single season. Why do I like Felicity? The first few episodes make me cringe and shake my head, but I love Felicity because she is honest, naive and she looks at the world with awe. She makes me remember that this world that we live in is full of awe-inspiring moments and we should not take any of it for granted. I love watching Felicity have all her firsts – the first time she goes against her parents, first boyfriend and so on. I love watching a show before mobile phones and before social media and before the Internet took over the world. Henry “Monty” Montague doesn’t care that his roguish passions are far from suitable for the gentleman he was born to be. But as Monty embarks on his grand tour of Europe, his quests for pleasure and vice are in danger of coming to an end. Not only does his father expect him to take over the family’s estate upon his return, but Monty is also nursing an impossible crush on his best friend and travelling companion, Percy. 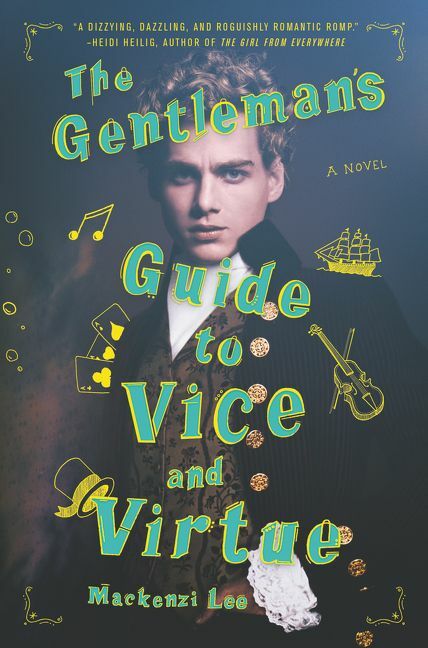 I recently finished The Gentleman’s Guide to Vice and Virtue by Mackenzi Lee. I have seen The Lady’s Guide to Petticoats and Piracy on many top ten lists for 2018, so I thought I would see what all the fuss about. Everyone seems to LOVE these books. I finished The Gentleman’s Guide to Vice and Virtue and I am not quite sure what all the fuss is about. Yes, the characters are likeable and flawed – which makes them interesting and relatable. Yes, the book is well written and at times quite amusing. BUT there is so much going on in this book – from highwaymen to piracy to everything in between. I don’t mind ending a book on a note of hope, but it kind of felt like the whole book fell down with the ending. To be perfectly honest, I was tired of it before the conclusion – there was TOO much going on and it left me feeling quite exhausted. I am reading the next book The Lady’s Guide to Petticoats and Piracy and I am hoping that it focuses more on the character of Felicity. Maybe my expectations were too high because I have seen these books everywhere. Perhaps I like books that develop character rather than lots of action. Let’s see how I feel after I finished the second book. 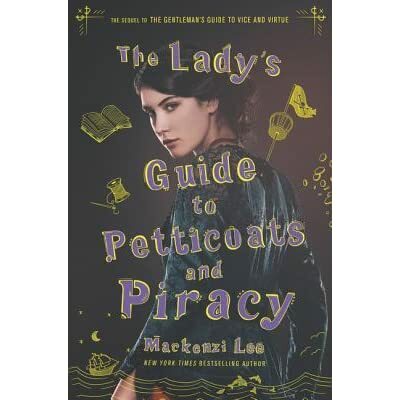 Well, I decided to read the Lady’s Guide to Petticoats and Piracy by Mackenzi Lee. Why, after I found the first book so exhausting? I did enjoy the character of Felicity. She was feisty, witty and intelligent. I also find that time period when a woman wasn’t allowed to pursue medicine as a career fascinating. Any job was pretty much off-limits for women. I am curious to see where this book goes and if we learn more about how women cracked the world of medicine. Though I have read the blurb and I am thinking that it is going to be similar to The Gentleman’s Guide to Vice and Virtue. In saying that, from the little I have read I have enjoyed. After a lot of reluctance, I started to watch Schitt’s Creek and I have fallen in love with this show. The cast is gorgeous, eccentric and unpredictable. At first, I thought this would be tired and predictable, but it hasn’t been. There have been times that as a viewer I have been quite proud of these characters and their growth (and I’ve even shed the odd tear). Schitt’s Creek has told a very deliberately paced story. Episode one began with a family of newly broke millionaires arriving at their one remaining asset; a backwater town they bought for their son as a joke. And, as such, it was a mostly predictable comedy of contrasts. The family looked down their noses at the residents, who in turn sneered at the family’s lack of real-world knowledge. I love watching this show. One of the reasons I like it though is because it is so inclusive. It is breaking stereotypes without banging you over the head. It shows you people being accepting of others who are different, not just accepting but inclusive. Schitt’s Creek is heartwarming, funny and generous. If you haven’t watched it yet, you should. I have terrible feet and a few years ago went to a podiatrist who wanted me to wear orthotics. I haven’t resorted to the orthotics yet, but I did realise I had to wear “sensible” shoes. He explained to me the type of shoe I should be wearing. Before this, I had many, many, many shoes – shoes that I am now unable to wear. I thought I could wear them occasionally but I can’t. When I wear shoes that haven’t received a podiatrist tick my feet ache. It feels like I have a piece of glass in my foot. The thought of wearing sensible podiatrist ticked shoes filled me with dread. I ventured off to my local Ziera shoe shop and found that they actually have some lovely (and even cute shoes). I don’t have as many shoes as I did have because these types of shoes are costly (but worth every penny). The reason I write this is because everywhere I look I see Instagrammers/Bloggers spruiking Frankie4 shoes. I am not particularly fussed on Frankie4 shoes. I don’t think they are as comfortable as Ziera shoes. I don’t believe that they hold up as well and from my experience, I don’t think the level of customer service is as high. And I am kind of tired of women who don’t need podiatrist ticked shoes telling me how fabulous they are. Though I think I reached my peak when I saw someone who is always spruiking something spruiking Frankie4 and it just felt like she was looking for some sort of sponsorship. If you want stylish, comfortable and podiatrist ticked shoes, you can’t go past Ziera shoes. I love Michael Gerard Bauer’s writing. From the beginning, I enjoyed this book because it was full of Bauer’s trademark humour. As the book progressed though, Frida started to irritate me. I am not good with people who can’t tell the truth. I guess this comes from associating with people who lie constantly. I hate it when I am not sure if someone is telling me the truth because they have told so many lies in the past, so I had a hard time with Frida and her pathological lying. I did love the banter between all the characters and I particularly adored Tolly. Seb, at times, was a little pathetic and Frida with her lying irritated me, but Tolly was perfect. He was funny, intelligent and the type of person you wished you were friends with. To be perfectly honest I couldn’t understand why Tolly was friends with Seb. Tolly stole the book from the moment his character was introduced. I check Frida’s reaction. She’s observing him closely, like she’s dissecting him and peeling back the layers with her eyes. His introduction is perfect. He flawlessly moves into the banter without missing a beat with Frida and Seb. For some time during the book, I seriously couldn’t understand why Frida preferred Seb over Tolly. Bauer’s writing is hilarious. The Things That Will Not Stand is wonderfully funny and you will find yourself laughing out loud. Yes, I was little irritated by Frida and her lying. Yes, I thought that Seb was a bit of an idiot, but Bauer writes in such a way that you go through these emotions and yet at the end of the book you feel genuinely for these characters. The Things That Will Not Stand is pure Bauer. It is heartbreaking and funny. I will admit that towards the end of the book I had reached my limit with Seb’s idiocy and Frida’s lying and then suddenly Bauer takes a different direction (and it isn’t like you didn’t know it was coming), but somehow he had me caring for these characters. When reading the final chapters, I had tears running down my face (and I hardly ever cry when reading). I finished this book and I realised that for all their annoyances I liked Frida and Seb and I wanted them to be happy. And despite my irritation, there were times when I enjoyed Frida and Seb a lot. I emphasised with Seb a lot more than I would like to admit (maybe he annoyed me because I saw a lot of me in him!). There are two words I’m desperately hoping no one utters while we are here. Audience participation. More like audience humiliation is the way I see it. Why couldn’t we have gone to the drones? I’m missing them already. Drones are great. Drones do their thing in the sky. Alone. Drones never expect you to get up there and join them. Drones don’t force you to be part of their show. Drones don’t expect anything of you at all. They just let you be. People should be more like drones! Oh Seb, I hear you!